The Smartlipo™ is the first laser system designed for laser body sculpting and for the disruption of fat cells. It is ideal for treating localized deposits of unwanted fat, fat tissue irregularities & for coagulating tissue leading to a tightening effect. 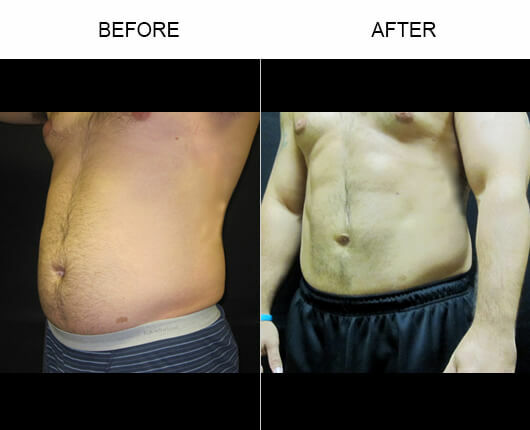 Smartlipo™ is ideal for treating small areas of the face, neck, arms, male breasts (gynecomastia), "bra fat," "love handles," saddle bags," inner and outer thighs, knees and other areas of loose or lax skin (flabby skin). The Smartlipo™ is an Nd:YAG laser with high peak power and a high rep rate of 40 Hz. The laser energy is delivered using a 300 micron fiber which is threaded through the hand piece and cannula. Yes! The Smartlipo™ procedure permanently destroys the treated fat cells. Adults do not create new fat cells. When a person gains weight, that person’s fat cells simply expand. Should you gain weight, that fat will most likely be deposited in areas where the procedure was not performed. 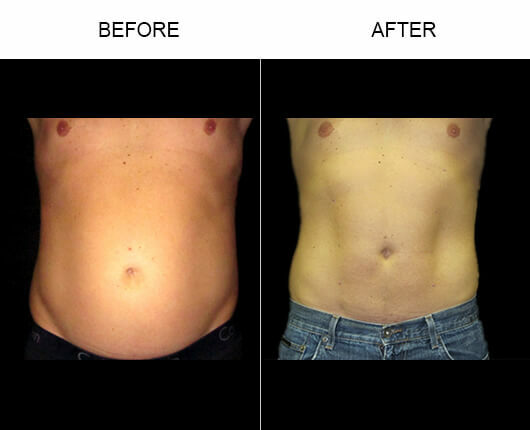 The Smartlipo™ has been cleared by the FDA for laser-assisted lipolysis. It is also cleared for incision, vaporization, ablation and coagulation of soft tissue. Ideal candidates are in good health, close to normal body weight and have realistic expectations for the results. If the person has areas of fat that will not respond to diet and exer­cise, then that person is a candidate for laser-assisted lipolysis. Very small incision, almost no scarring, no stiches required. Scarring occurs where cannula enters body, stitches usually required. Promotes tissue tightening in areas where fat has been removed. Skin remains lax, often leaves sagging skin where fat has been removed. Patient may return to work after two days recovery period. Patient may return to work after a week recovery period. Smartlipo™ laserlipolysis is a minimally invasive surgical procedure. The procedure disrupts the fat cells through a thermal and photodisruptive action – heating and shattering the fat cell membrane. The laser coagulates the underlying vessels due to the hemostatic properties of the laser, resulting in less bleeding, bruising, trauma as well as less down time. As an added benefit, the system has also been reported to promote tissue tightening through bulk thermal heating and tissue coagulation. The procedure is commonly performed under local and tumescent anesthesia. A laser fiber is introduced through a hand piece and detachable cannula. The cannula is then inserted through a 1 to 2 mm incision in the skin and into fat pockets. The cannula, with the tip of the fiber exposed approximately 2 mm, is then moved in a "back and forth" fanning motion. The laser's aiming beam can be visualized through the skin, allowing the physician to identify the treatment area. As the fiber tip comes in contact with the fat cells it ruptures the cell membranes and releases the fatty oil from the fat cells. This end product may then be aspirated from the site. Dr. Roger Bassin, his doctors, and staff at Bassin Center For Plastic Surgery would be happy to help you set up a private consultation to discuss Smartlipo™. You can give us a call at 877.333.3223 or schedule an appointment online for a consultation at one of our Florida locations: Melbourne, Orlando, Metro West Orlando, Tampa, The Villages®.